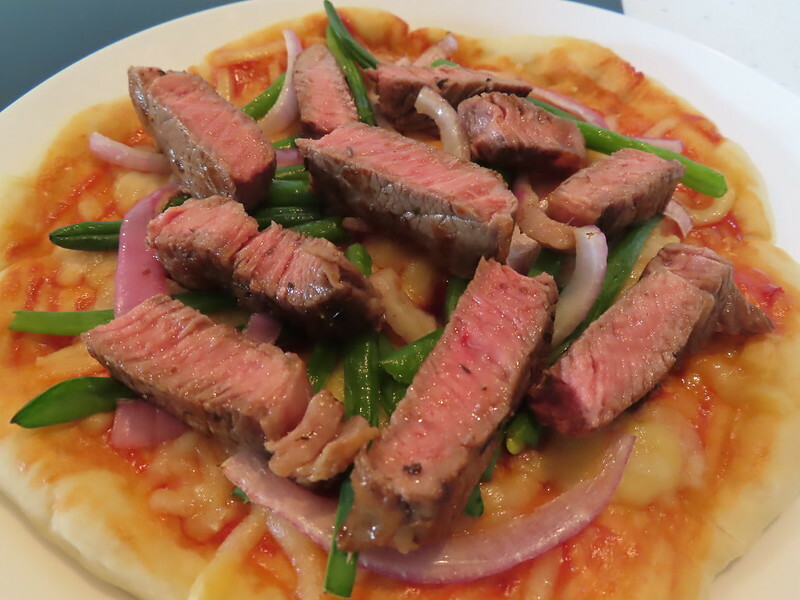 It’s a combination of pizza and steak. Except beef, I also chose onion and French bean as the vegetable part. Season steak with salt and pepper. Heat a pan. Drizzle a little oil. Place steak into hot pan. Fry for around 3 mins or till golden brown. Then flip the steak over. Add in thyme and garlic. Cut in a butter chunk. Scoop butter with a spoon and pour over steak. When both sides are brown, let the steak stand to fry the edge. Then let steak rest in a plate. 1. Preheat oven to 220 degree C.
2. Brush pizza dough with tomato sauce. Then spread mozzarella cheese over it. 3. Into oven for 6 mins. 4. 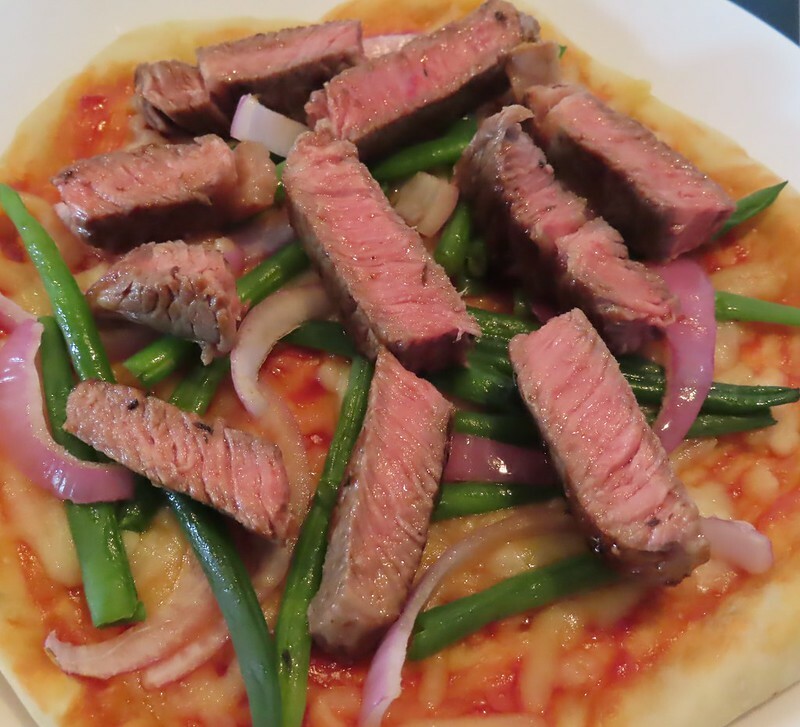 Scatter onion and French beans (bleached for 2 mins in hot water) over pizza dough. Into the oven for another 2 mins. 5. Cut steak into slices. Place steak over vegetables.